West Palm Beach Car Accident Lawyers: If you were injured in a car accident in West Palm Beach, the West Palm Beach Car Accident Lawyers at Madalon Law are more than willing to assist you in handling your case today. 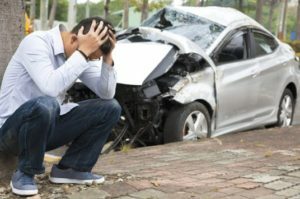 Experienced at dealing with every aspect of your car accident case, we aim to make your difficulties and challenges as manageable as possible by providing you with expedient results in handling insurance claims, making arrangements with doctors and hospitals and working with the insurance companies to get the compensation you are entitled to. Consultations at Madalon Law are free. If we take you case, you owe us nothing unless we win. As such, we work hard to make sure you get what’s rightly coming to you. We are an aggressive firm that truly cares about their clients. Contact us to schedule your free consultation today. Also known as “The Gold Coast,” West Palm Beach Florida is one of the most sought out places to live in Florida. However, this fact was not always the so. Prior to 1993, West Palm Beach had crime rates well above the national averages. However, due to community outcries, the city government worked very hard to clean up the city’s image to make West Palm Beach safer for its residents and more attractive a place to visit and live for tourists and would be new homeowners. As a matter of fact, West Palm Beach has recently been noted for being the city having the highest drop in major crimes in the entire United States. Statistics like that make West Palm Beach one of the most attractive places to live in the country. Beach has a lot to offer for those looking to settled down and enjoy their golden years. A good many people call West Palm Beach home after finishing up their working career or deciding to retire from corporate America. As such, there are a lot of elderly drivers on the roadways in West Palm Beach operating motor vehicles in not so good condition. Many of the elderly suffer from physical problems such as poor vision, degraded cognitive abilities and or slow hand–eye coordination. As most people have a very hard time accepting the negative physical effects of getting old, there too are a lot of elderly drivers that simply fail to recognize that they are losing the quality of their driving skills. Unfortunately, there are several reports of elderly drivers falling asleep at the wheel, miscalculating or misjudging distances or basically losing awareness of their surroundings due to a degrading attention span. If you were in an auto accident in West Palm Beach and need to speak to a West Palm Beach Car Accident Lawyers, please contact the law firm of Madalon Law for your free consultation. We genuinely care about the difficulties and the challenges that lay ahead of you while you face recovering from your injury. We aim to make your recovery as quick and painless as possible.